Crohn`s and Colitis Canada is looking for volunteers to work the CP Women`s Open. Several non-profit organizations are going to benefit from the CP Women’s Open later this month in Regina, one of those is Crohn’s and Colitis Canada. The organization will operate a concession tent near the 13th green at the LPGA tournament that runs from Aug. 20 – 26. Development coordinator Carol-Lynne Quintin told Golf Saskatchewan this week more about their work around the illness. The group is still looking for about 40 volunteers for the five days they will operate the booth. The organization will see 10 percent of the proceeds. Quintin said they have various duties available. “We’re looking for people to work shifts between 2.5 hours to 4.5 hours. There will be a bar-b-cue concession as well as selling adult beverages, and pop,” she said. 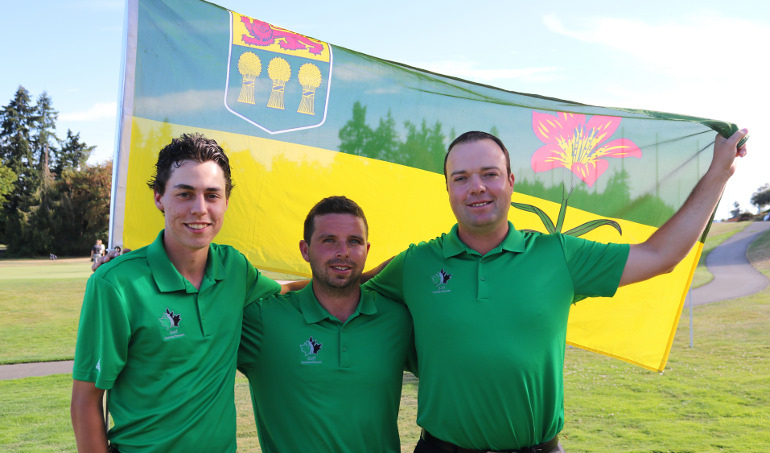 Anyone who volunteers will receive a day pass to watch the event at the Wascana Country Club. Quintin said the opportunity will pose other benefits for volunteers. “We’ve got some people coming from Moosomin and Saskatoon, and all over the province to work with us so it will be a great chance to meet other people. Not just in the golf community but in the Crohn’s and Colitis community too and other volunteers too,” she said.